 We are working hard to develop a number of self-guided tours that will help visitors efficiently navigate all there is to see and do in Gadsden County. In the meantime, we want to at least provide you with our top “must see and do” recommendations while you are visiting this wonderful historic destination. Damfino's makes almost everything from scratch, including the bread for our sandwiches. We source ingredients that are local, naturally grown, and/or organic whenever possible. Featured farms change depending on season, and we prioritize producers within the Red Hills Small Farm Alliance. We offer a wine selection that is not an afterthought and offer Florida craft beers as well as classic favorites. Stop in for a sit down meal or grab a bite on the go! Located on The Courthouse Square. Havana was once known as the shade tobacco capital of the world. Now the product that helped shape the town is being featured in a new museum at Planter’s Exchange. Located about 20 miles northwest of Tallahassee on the Old Spanish Trail, Havana was incorporated in 1906. Shade tobacco was grown to produce fine cigars and was once one of the country's most impressive agricultural enterprises, according to the Havana History & Heritage Society. The Shade Tobacco Museum feature artwork, tools, and crafts from the area's history of tobacco farming – from seed to cigar. The Museum will also feature barn art, prints and notecards from area artists and craftsmen displayed and for sale. The museum will remain open on weekends. The Apalachicola River Blueway National Recreational Trail flows from Lake Seminole and the Jim Woodruff Dam in Chattahoochee, south 107 miles to the John Gorrie Bridge in Apalachicola and the Gulf of Mexico. The Apalachicola River Blueway received its national designation in 2014. The trail connects with the Apalachicola River Paddling Trail System in the lower estuary portion of the River. This 100-mile matrix of scenic waterways was developed by the Florida Fish and Wildlife Conservation Commission and designated a National Recreation Trail in 2008. This area serves as a popular destination for canoeing, kayaking, fishing, boating, bird watching, and camping. Maps, GPS coordinates, and other trip planning resources can be found online at www.apalachicolablueway.com. A large draw for tourists is the extensive range of species that call the Apalachicola River Basin home. The unique nature of the area makes it an ideal habitat for approximately 60 species of trees, 1,300 species of plants, 131 species of fish, 33 species of mussel, 308 species of bird, and 57 species of mammal. Included among these are Gulf sturgeons, Apalachicola dusky salamanders, and Florida yews. This watershed is a primary spawning and nursery habitat for fish and other aquatic species and is a critical migratory bird route. The Apalachicola Bay supplies 90 percent of all oysters harvested in Florida and is the second largest of 25 existing National Estuarine Research Reserve (NERR) sites selected by the National Oceanic and Atmospheric Administration. The River Basin’s varied habitats, from rare steephead ravines (with the only native Torreya taxifolia [i.e., Florida Torreya tree] found anywhere) to bottomland hardwood forests, give it the highest species density of amphibians and reptiles on the North American continent north of Mexico. Gadsden County is often associated with Fuller's earth, Coca Cola, and shade tobacco. Shade tobacco was the County's first major industry. 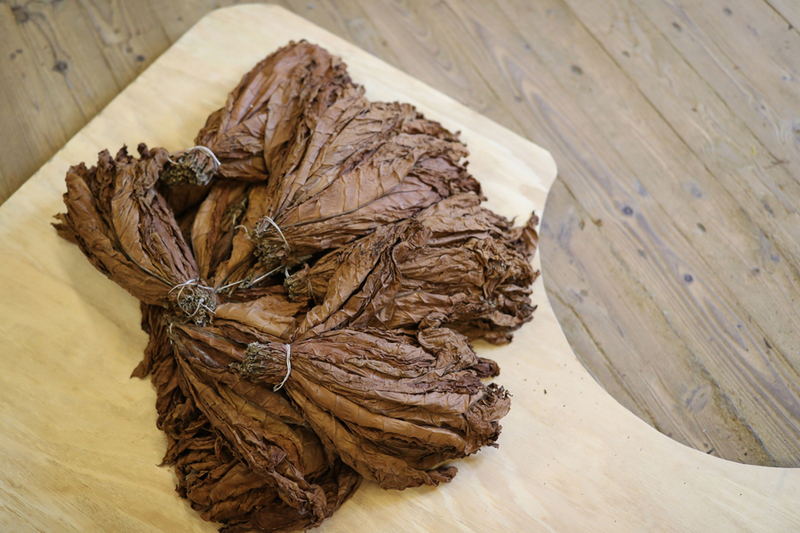 Tobacco was brought to Gadsden County in the 1820s, but only later was it discovered that Gadsden County was only one of a few places in the United States suitable for the growth of the "wrapper leaf," the outer leaf used to wrap cigars. These places are “The Georgia-Florida Shade Tobacco District,” made up of Gadsden and Madison Counties in Florida and Grady and Decatur Counties in Georgia. In 1946, these two districts produced over 95% of American-grown wrapper leaf. Today, shade tobacco is grown only in the Connecticut River Valley and the shade tobacco barns in Gadsden County are most often seen in paintings and photographs. However, on a number of properties in Gadsden County still stand picturesque old tobacco barns where the fresh cut tobacco leaves were hung to dry and cure before use. Take a drive throughout the county and check out these magnificent visuals of the past. As an example, the Chattahoochee River Landing (and Clyde Hopkins Park) are located along the beautiful Apalachicola River. The area contains spaces for picnics, grills for cooking, camping facilities, and facilities for boating and small events. There is significant opportunity for photography, kayaking, and other forms of eco-tourism. The area also holds historical relevance, as it is home to three of the remaining Fort Walton Indian mounds. As well you’ll find the Angus Gholson Jr. Nature Park which is approximately 100 acres, including trails and a picnic facility. The location contains many high-quality slope forests that feature springs and many rare plants; however, invasive exotic species are a threat. The Angus Gholson Nature Trail is one of the three trails making up the Chattahoochee Nature Trail System. The Trail is slightly less than half a mile long but offers access to a botanically rich habitat featuring the bluffs and ravines near the Apalachicola River. This Trail is used for short hikes. The Chattahoochee Spring is included in the park. The Apalachicola National Recreational Trail has rich historical value as it was, among other things, the site of several wars, a treaty signing for the creation of the Seminole Nation, and a link to the original Old Spanish Trail across Florida. 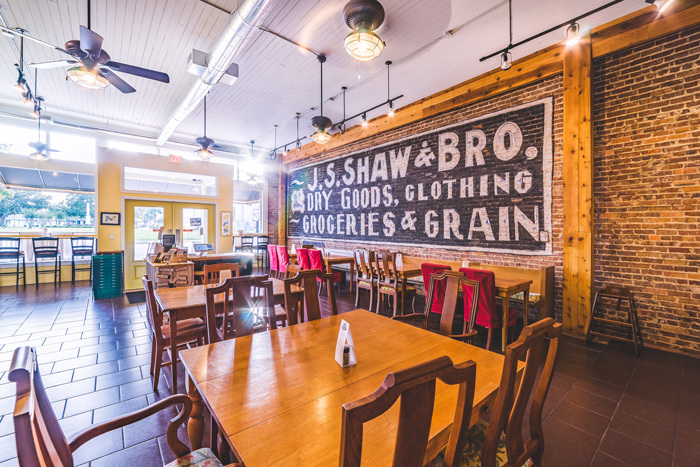 This historic little town, a few miles north of Tallahassee, is often referred to as North Florida's eclectic shopping capital. With so many shops offering art, custom-made and new furniture, books, jewelry, collectibles, clothing, gifts and even pets, Havana is a haven for visitors who are tired of malls and big chain stores. In between the shops, you'll find quaint eateries and coffee shops, where you'll be sure to find something that will please everyone. Vacationing or visiting Gadsden County? You must spend a day in Havana. Off the beaten path of Hwy 27, you will find the hidden gem of Havana offering Southern Hospitality and so much personal service that we earned the title of Florida's Friendliest Small Town! Located between Quincy and Tallahassee, Lake Talquin is an 8,800 acre reservoir, with depths ranging from 15 to 40 feet. The lake was created by the construction of the Talquin Dam, which is used to generate hydroelectric power and hosts one of the few hydroelectric power plants in Florida. Lake Talquin is a very popular recreation area and fishing spot, nationally renowned for high quality black crappie (speckled perch) fishing from January through April. At other times of year, people are drawn to the lake for fishing of largemouth bass, bluegill, red ear, white bass, and striped bass. There are three public boat ramps and two public fishing piers on the lake within Gadsden County. Canoes, kayaks, and power boats are allowed, which provides access to great freshwater fishing, bird watching, and the tranquility of North Florida’s natural beauty. Primitive campsites at High Bluff Campground can be accessed by vehicle, canoe, kayak, or boat. Primitive campsites at the Fort Braden Tract are accessible only by canoe, kayak, boat, or hiking. Since 1977, Lake Talquin State Forest has been managed by the Florida Forest Service using the multiple-use concept, in which environmental, recreational, and resource-use needs are balanced. Emphasis is put on reforestation, ecosystem restoration, and outdoor recreation. Most of the forest adjoins the Ochlocknee River and Lake Talquin. Lake Talquin State Forest is comprised of more than 17,000 acres, almost 11,000 of which are in Gadsden County. Lake Talquin State Forest is located just west of Tallahassee and is composed of 10 main tracts of land, along with several smaller tracts. Each tract offers a variety of recreational opportunities. High Bluff Camping Area is a primitive campground on the northern side of Lake Talquin, adjacent to the Joe Budd Wildlife Management Area. Facilities available include 34 primitive campsites with ground grills and picnic tables, restrooms, a fishing pier, and a boat ramp. RVs and tent campers are welcome. Horseback riding is welcome on open roads in the forest, and the Fort Braden Tract contains a 12-mile designated equestrian trail. Off-road bicyclists can enjoy the open roads. The Lines Tract contains a designated off-road bicycle trail that offers a nine-mile course for beginner- to intermediate-level cyclists. Fishing is available in most waterways. Under special agreement with the Florida Fish and Wildlife Conservation Commission, Lake Talquin State Forest was opened to hunting in 1977. There are three Wildlife Management Areas open for hunting: Joe Budd, Ochlockonee, and Talquin wildlife management areas. All other Lake Talquin State Forest tracts are closed to hunting. Take a break from Coke Millionaires, Shade Tobacco and historic Victorian homes in Quincy to enjoy a thriving arts center which exhibits the work of local artists and is a favorite spot on the North Florida Arts Trail. This is an amazingly thriving arts center that offers a broad range of interpretive and studio art programs centered upon an exhibition calendar of top regional to major national and historically important art exhibitions. If you are going to visit and/or vacation in Gadsden County Florida, don’t miss this. Named for a rare species of Torreya tree which only grows on the river bluffs, this is the place for birding, hiking and history buffs. With river swamps and high pinelands, extensive ravines and high bluffs along the river, the park has one of the most variable terrains of any in Florida. Not only do some consider Lake Torreya one of the best state parks in Florida for hiking, the birding also gets rave reviews as birders watch for northern birds like winter wren, Louisiana waterthrush, golden-crowned kinglets and brown creepers. Brown-headed nuthatch and Bachman’s sparrows are possible in the sand hills. Of course at the historic Gregory House, you can get a personal tour of the house that was moved across the river to its current location In 1849. The stories of war and survival are captivating. If you truly want to experience something original and unique, come stay and play at the White Dog Plantation. This is an amazingly unique 60-acre retreat for lovers of nature, history and yes, dogs; not only a natural setting steeped in Florida history, but the perfect place for a wedding, meeting, or relaxing getaway. White Dog is a village of historical buildings including the c.1828 Nicholson farmhouse, which is on the National Historic Register, as well as several historic buildings that were moved to the site by Paul Nicholson, a former owner of the property and developer of the much beloved but now closed Nicholson Farmhouse Restaurant. Behind the village is a gorgeous ravine with a large spring, huge trees, and a nature trail open to the guests of White Dog Plantation. The uplands in front of the village are managed as gopher tortoise, bluebird and native wildflower habitat. You’ve got to experience this.